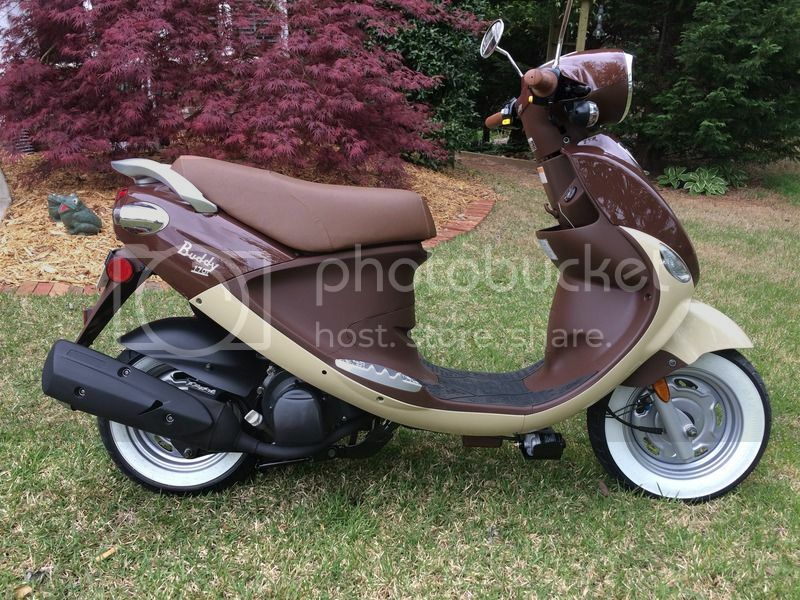 I bought a new 170i Mocha today and rode it 61 miles home from the dealer.It is my third scoot and by far the best. I got a ToaTao ATM50 and a Baccio Speedy 50 2t. I also have a 2009 FZ1 that I ride when I get in a hurry. I hope the picture works. This sure is a good looking scoot. Congrats, looks all nice and brand new! Very nice! Congratulations and welcome! It looks really nice with that red maple in the background! Great looking scoot. Should be a great performer after the proper break-in. I got a call from my insurance company today asking for the "correct" VIN number for my new Buddy. I sent them a picture of the VIN plate in the footwell and told them they have the correct number. Wonder what they will do next.